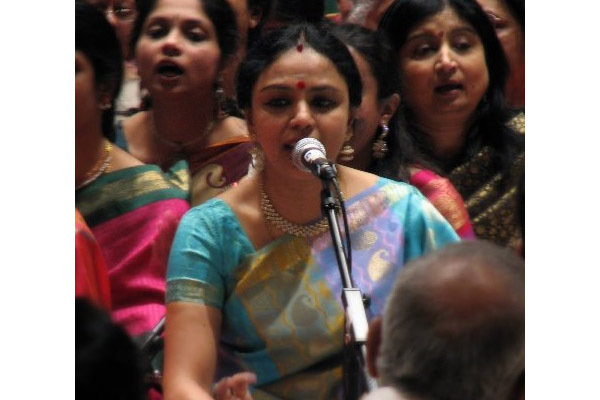 Curtains rose for an eventful November at Narada Gana Sabha, Chennai on 1 November for the Bharat Sangeet Utsav. Away to Israel to perform on 18 November for The Tenth Annual Jerusalem International Oud Festival, Sudha had one of her most memorable concerts. The festival draws artists and composers from all musical genres. Stars of Israeli, Jewish and Arab ethnic music appear alongside guest musicians from India, France and Mediterranean countries presenting a variety of musical heritages: religious and secular, Armenian and Byzantine, Gypsy and Babylonian, ancient and modern. Musical instruments featured in the concerts included the oud, zurna, duduk, trumpet, bass, violins, viola, cello, jumbush, clarinet, recorder, dahul, nai and energetic percussion. The curtains came down for November with the conferment of the Sangeetha Kala Sagara Award by the Visakha Music Academy during its 40th Annual Festival of Music and Dance. This was followed by a concert by Sudha. The stage is now all set to move on to a dulcet December, Sudha being as eager as her fans, to share and regale with her beautiful music.